Sandvik is a high-technology, engineering group with advanced products and a world-leading positions within selected areas. Worldwide business activities are conducted through representation in more than 130 countries. In 2012 the Group had about 49,000 employees with annual sales of approximately 99,000 MSEK. 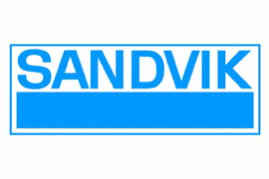 The Sandvik Group conducts operations in five business areas with responsibility.